Bring in your prescription and one of our highly trained and experienced opticians will provide you with the expert advice needed to create your best vision. 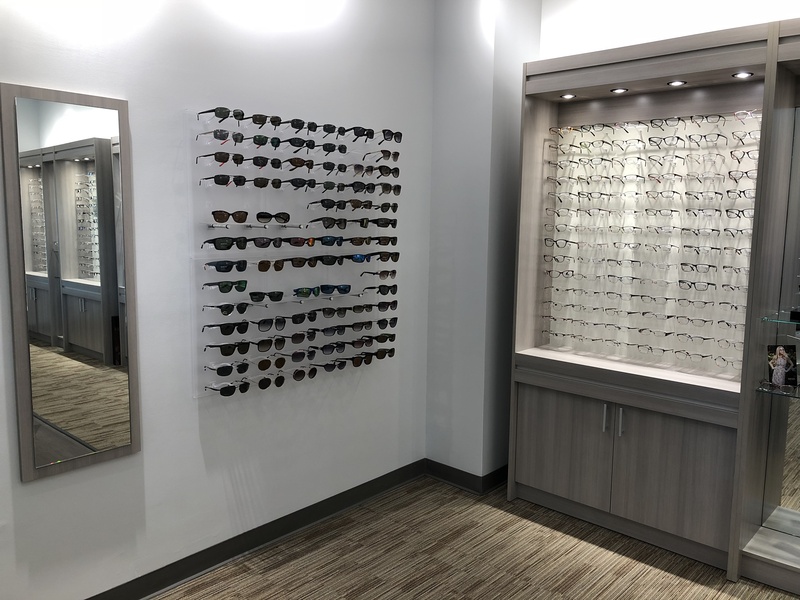 Stop in and check out our new optical shop, our opticians have many years of experience in helping patients choose the right lens designs and providing accurate measurements. If you have a complex prescription or difficulties getting prescriptions that work for you, give us a chance to use our expertise to provide the best solutions for even the most difficult cases. We also realize that fashion is a big component of how well you enjoy your new eyewear and our opticians are trained to help choose the most flattering glasses for your facial shape and style. Hoya lenses with their premium Anti-reflective coating are the most scratch resistant in the industry and are standard on any lens purchased at North Country Eye Care. Without AR coating your vision would be reduced under all situations, but especially at night and low light. We also offer a blue light Anti-reflective coating at no additional charge for patients that spend a lot of time on digital devices or are concerned about the effects of blue light on their vision. Neurolenses are the latest in lens technology, meant to help relieve the symptoms of digital eye strain. These lenses may help patients with headaches, neck and shoulder pain associated with computer, tablet or cell phone use. We are the only office in New England currently to offer this advanced lens technology. Children's eyewear always come with the option of polycarbonate or trivex lenses at no charge. These lens materials are lighter and safer for protecting their vision. Your new lenses from North Country Eye Care also come with a two-year no-fault warranty. These days you will find lenses for any task specific need you can think of. You will find just like shoes, having the appropriate type of glasses for what your are doing will make a huge difference. Our opticians will be able to recommend the best options for lenses and frames for tasks such as computer, running, cycling, golfing, fishing and hunting. We can make these tasks easier and more comfortable while improve your performance. Make an appointment with one of our opticians to get a consultation on your options for performance eyewear. We use the following progressive lenses depending on your prescription and visual needs. Mystyle: These are the most custom made lenses in the world and are created with your lifestyle in mind. You will be asked about what you do for work and play to create a lens that was made specifically for you. This lens is great for people who have had troubles with previous progressives or have stronger more challenging prescriptions. 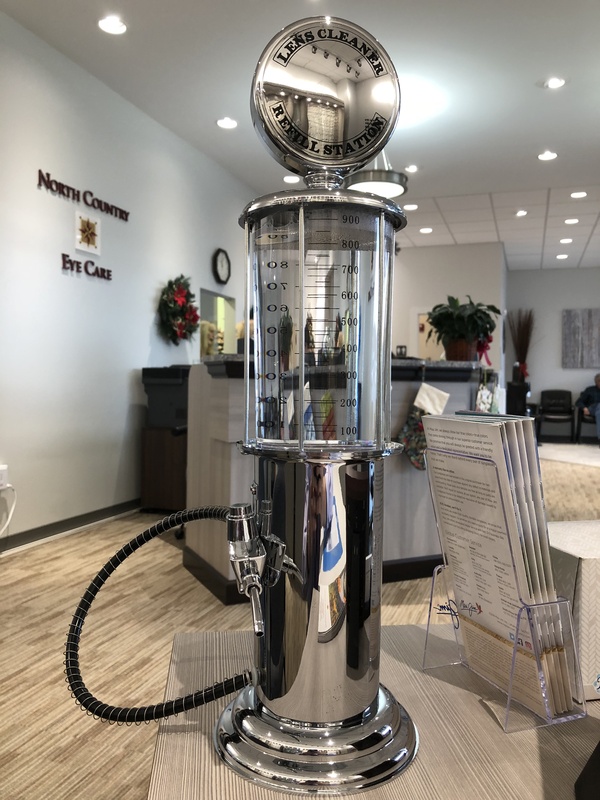 Lifestyle: This is the primary lens choice at North Country Eye Care and provides great vision without some of the custom features of the Mystyle lens. This is still considered a premium lens and is a great choice if your prescription is mild or you have been happy with your current progressives. Array: If you are budget minded this is one of the best value progressives on the market. This lens is created using some of the latest lens technology but is not as custom as the Lifestyle or Mystyle lenses. This lens is good for the budget conscious who want to see what freeform lens technology can do for your vision. 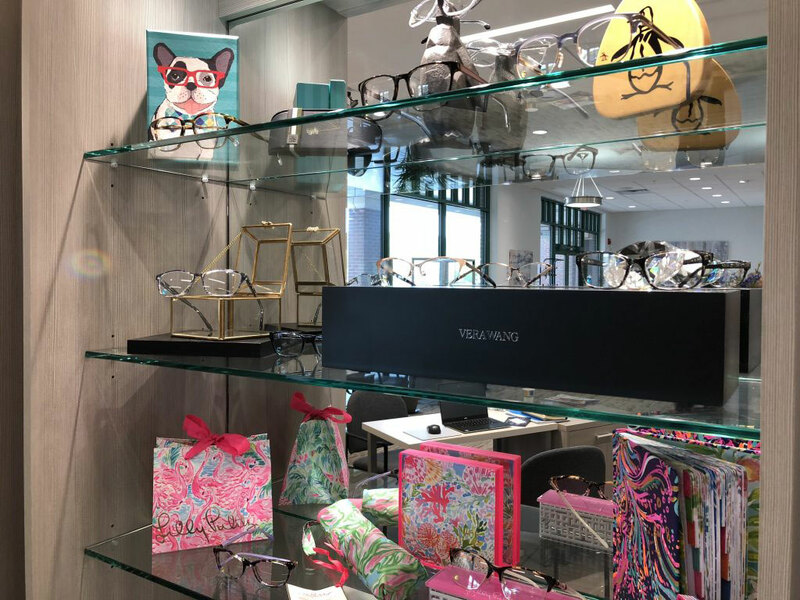 North Country Eye Care offers the latest styles from Kate Spade, Vera Wang, Liz Claiborne, Max Mara, Smith and more, as well as frames for those looking for function over fashion. One of our opticians will help you select the perfect pair. We also are proud to carry the Masunaga eyewear line. This product is handmade with the best materials from Japan. Masunaga is perfect for those looking for elegant eyewear that always stays in style and lasts. We are the exclusive optical shop in the upper valley for this product. North Country Eye Care has a wide selection of sunglasses including Smith, Carrera, Rudy Project and Maui Jim. We can have these made in prescription as well as non-prescription for our contact lens patients. Sport glasses: Do you need glasses or sunglasses for fishing, cycling, skiing, golfing or shooting? North Country Eye Care carries eyeglasses that will help enhance your performance through vision. We are able to help you decide what vision options will work best for you whether it be contact lenses or specialty eyewear. Stop by the new office to seek the advice of our optical staff. We have carefully chosen to offer the best lens products in the world by partnering with Hoya. Our opticians stay informed on the latest technologies from lens manufacturers such as Essilor/Varilux, Zeiss and Shamir. Staying up to date with lens manufacturers allows us to make the best choices in providing our patients with the best vision possible. If you choose to purchase your eyewear elsewhere, but would like to have us service them. We offer the optical service plan that can be reimbursed from some online providers such as Warby Parker. If needed, we will provide a prescription re-evaluation by one of our doctors. You will receive $50 towards your next eyewear purchase in our office. 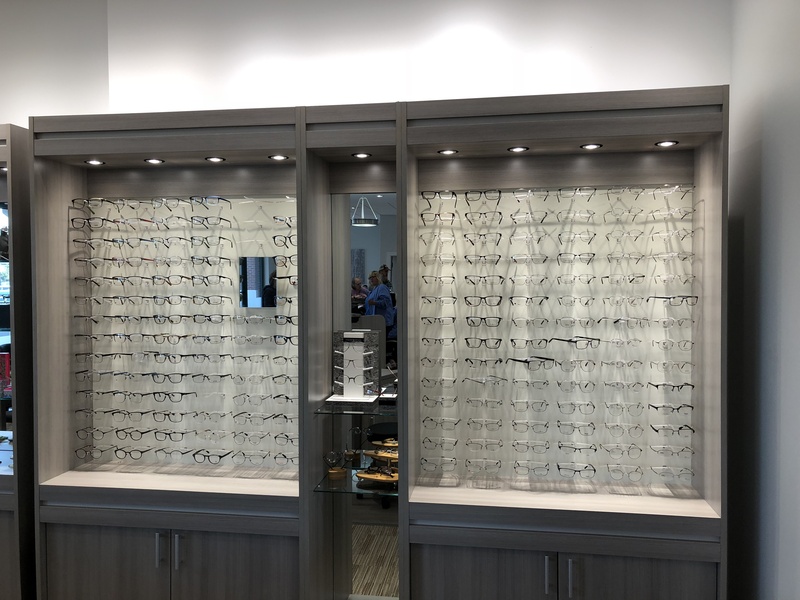 Many patients wonder what the difference is between ordering glasses online versus purchasing them at our optical shop. The value of eyewear is a function of several factors. Here is a list of the 10 best reasons to have us fill your prescription. Trained opticians: Having nationally certified opticians ensures we will fill your prescription exactly as your doctor has prescribed. We have one of the best-trained staffs in the country. Lens Quality: We use the most advanced lens designs with Hoya’s EX3 coating, which makes our lenses twice as scratch resistant as average lenses. Hoya lenses also provide a clearer wider field of vision. Frame Warranty: Our frames hold a minimum one or two-year, no-fault warranty, depending on the designer. Customer satisfaction guarantee: If, for any reason, you are unhappy with your prescription or your frame choice, you have 60 days to make an exchange or receive a refund. Prescription verification: We make sure that your prescription was created at the lab the way the doctor prescribed and to national standards. Be aware that the eyewear offered by many online retailers do not meet national standards. Eyewear adjustments: We provide complimentary adjustments and minor repairs for the life of your eyewear purchased with us. Great fitting glasses provide the best vision and comfort. Here are some tips in finding the right eyeglasses for your facial shape. Hoya is known as the Free Form company. Free Form is the latest in lens production and creates a wider more optimal field of vision in your eyewear.